Whether you have tried dozens of acne products and not gotten the results you like, or whether you have just given up on trying to rub and scrub your zits away, finding the right acne solution can make your skin clearer and your life a lot easier. Here’s what you need to look for in an acne treatment system. Good acne treatments should include a cleanser, exfoliant and a moisturizer as part of the program. Real solutions for acne make realistic promises. You might get clear skin in a month, but you aren’t going to get clear skin, especially if you have pimples, in three days or less. Everyone’s acne solution includes a cleanser. The best cleansers are gentle on the skin. Everyone’s acne solution includes an exfoliant. Peeling away dead cells from the surface of the skin makes it looser and more flexible and stimulates collagen production that can fill in indented acne scars from the inside out. There is nothing special about “daytime” or “nighttime” acne treatment. It is important, however, to protect skin from darkening during the day and to keep pores from being clogged with makeup at night. Moisturizers are a must for dry skin. Even if you have oily skin, you may need a little moisturizer around your eyes. Microdermabrasion cloths, blue light treatments, red light treatments, and probiotics are helpful, but not essential. Even the best acne medications only get rid of about 2/3 of blemishes, over a period of several months. The best acne treatment systems may get rid of about 90% of blemishes over a month or two, although there are certain kinds of acne you just can’t treat at home (such as cysts, nodules, and the black and blue spots caused by the hereditary disease onchrosis on Asian skin). With the very best home acne treatment products, you may see some whiteheads and blackheads disappear in 48 hours or less, and some pimples disappear in less than a week, but any acne treatment system that promises to make you 100% acne-free in 24 hours, in three days, or in a week is just marketing hype. If the promise is that over 95% of users have clear skin in 30 days, that is possible. But it is more believable if the system comes with a one-year money-back guarantee. 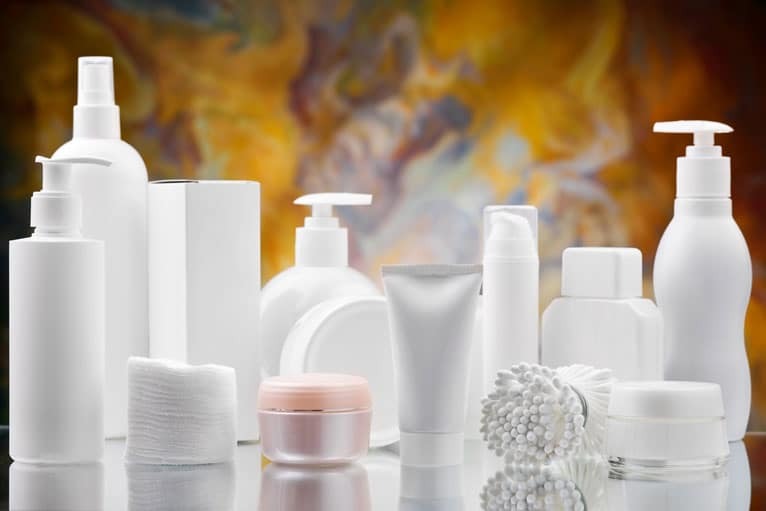 Whether you buy an acne treatment system, or you buy products on your own, there are certain kinds of products you will definitely need. Here is how you recognize them. The purpose of cleansers is to let them do the work of keeping your skin free of dirt, grime, soap film, and excess oil. No cleanser is supposed to dry out your skin, because drying out your skin actually makes acne worse. No cleanser is supposed to kill all the bacteria on your skin, because small numbers of bacteria are actually beneficial. They eat excess sebum. And no cleanser is supposed to remove all the oil from your skin. You need some oil to keep your skin flexible. Alcohol and detergents that remove oil also irritate the skin. It repairs itself by—you guessed it—making even more oil. Make lathers of tiny bubbles, not big bubbles. Never make the skin sting or feel tingly (this is a sign they have destroyed cells in the outer layer of skin). Don’t contain fragrances (these can dry out the skin). Don’t contain abrasive fibers (polyethylene beads are OK). Get makeup off, if you wear it, with very gentle cleansing. You might need to wipe but you shouldn’t need to rub. The most important thing to remember about your cleanser is that it has to be gentle enough that you don’t feel it working on your skin, but strong enough to cleanser your skin without your having to do any of the work by rubbing or scrubbing. Chemicals in your cleanser are not necessarily bad. You just want to avoid cleansers that list alcohol, menthol, or herbal ingredients such as cinnamon, since these can irritate your face. Witch hazel is usually not a good addition to a cleanser, but it is a good addition to a mild skin peel or skin tonic. Chemical peels loosen dead cells from the surface of the skin. Skin cells are constantly being created in the lower, basal layers of the skin. They are pushed toward the surface by newer skin cells beneath them, and usually die in about 21 days. Dead skin cells flake and fall off the skin, but sometimes they get stuck on the skin, or worse, they get stuck in the bottom of pores. When dead skin gets mixed with excess sebum, pores get clogged. Skin peels and skin tonics contain small amounts of acids that loosen the “glue” that holds dead skin together. This breaks up clumps of dead skin in pores, and keeps the skin from tightening around pores and wrinkles. The action of the acid also stimulates the growth of collagen in the skin. This supports the skin, fills in pitted acne scars, and increases the rate at which the skin grows, giving it a healthy glow. Unlike cleansers, exfoliants may give you a useful, temporary reddening of the skin. This is not irritation. It’s exfoliation. The process is not supposed to burn, but it may sting or tingle. If the stinging or tingling goes on for more than 5 minutes, stop it by rinsing the skin tonic off your skin. If you have oily skin you have trouble cleansing, you should use a skin tonic that is made with salicylic acid. If you have dry skin or oily skin that you keep from getting shiny, then you should use a skin tonic that is made with an alpha-hydroxy acid such as glycolic acid. Don’t apply the products to broken or inflamed skin, and use them only as often for as long as directed. Do You Need Both Daytime and Nighttime Acne Treatment Products? There is nothing your skin needs during the day that it doesn’t also need at night, and vice versa. Labeling two different product for daytime and nighttime use, however, can be an easy way to remember to use both of them every day. Sometimes a “daytime” skin care product will contain azelaic acid. This ingredient is a safe skin lightener for all types of skin. It helps prevent brown spots after acne heals. While you could use it anytime of day or night, including it in your daytime skin care is important if you need to make sure it has a chance to protect your skin from darkening by the sun. Sometimes a “nighttime” skin care product will emphasize clean pores. While keeping pores clean is important anytime of day or night, it is especially important to remove makeup at night before going to bed. If you have skin that looks fresher and more deeply colored right after you wash your face in the morning that looks dull by the middle of the afternoon, you definitely need a moisturizer. If you have naturally oily skin, however, you may not need a moisturizer unless your skin is exposed to heat and sun, and even then you may only need a little moisturizer at the sides of your face near your eyes. Other acne treatment products are also optional. Not everyone needs a microdermabrasion cloth, although it can help with whiteheads and blackheads. Not everyone needs probiotics—and they are best taken as an oral supplement rather than applied directly to your skin. Buying all the products for your personal acne solution in a single treatment system saves you money—and the best acne care solutions come with a money-back guarantee, Exposed Skin Care.